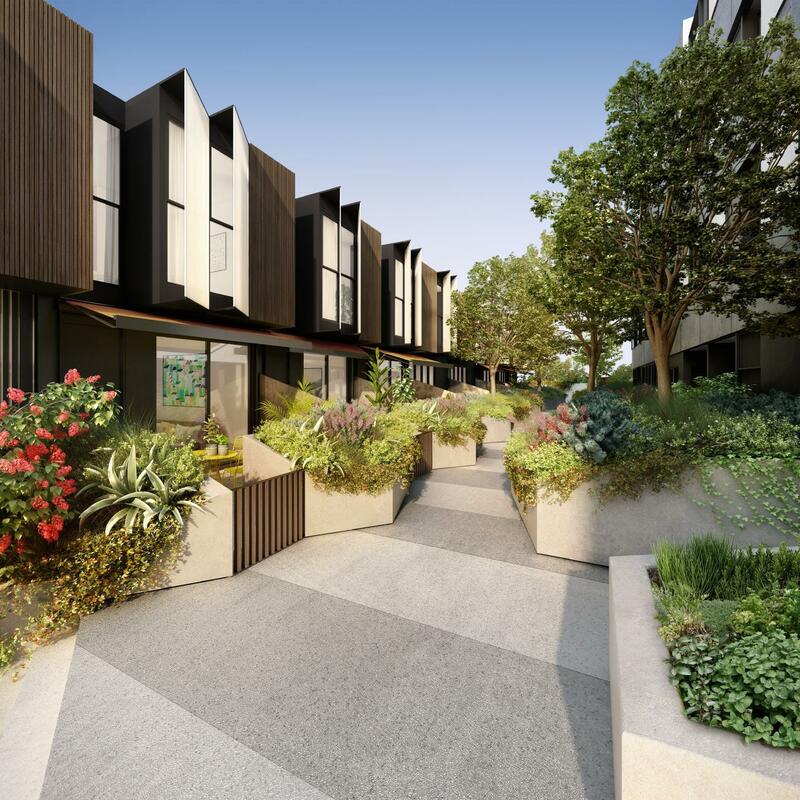 An early registration sales day for Clifton Hill development 122 Roseneath St. has been a resounding success, with 53 of the 65 available apartments and townhouses sold within 12 hours. The strong interest follows an extensive process of consultation that sought feedback from prospective purchasers at key stages of the design process, prior to construction. Potential buyers were given the opportunity to express their views, creating a sense of ownership while also giving the development partners – Wulff Projects, Icon Co. and Assemble – a chance to communicate the social and environmental values that underpin the project. Now the development partners are backing those beliefs – seven of them have bought homes at 122 Roseneath St. For some of them it is their first home, which reflects the development’s aspirations to create an affordable, diverse and engaged community in the desirable inner-city suburb of Clifton Hill, where the median house price is now $1.161 million (Domain). 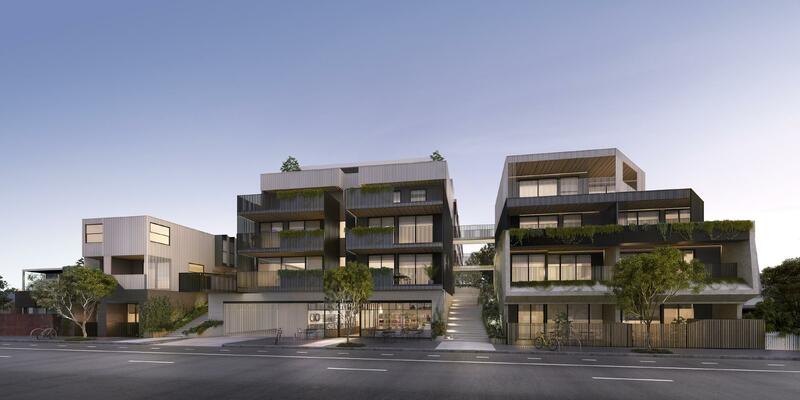 An unusually high proportion, 96 per cent, of purchasers at 122 Roseneath St. are owner-occupiers, reflecting both the quality and affordability of the project. The developers estimate that 40 per cent of all purchasers were first-home buyers, and that 38 per cent came from Clifton Hill or surrounding suburbs. 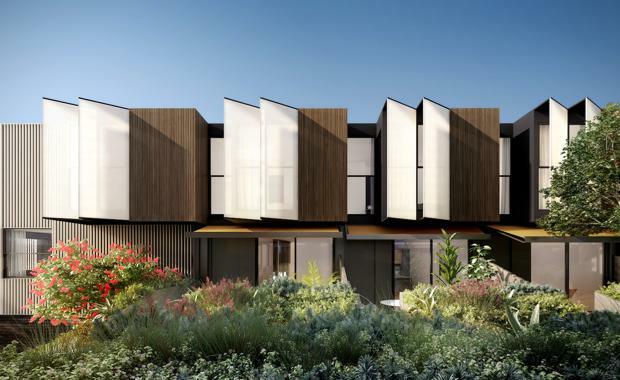 “Selling almost all the available dwellings is an unprecedented result for an off-the-plan development that has attracted 96 per cent local owner-occupiers,” says real estate agent Roland Paterson of Nelson Alexander. All three directors of Assemble – Quino Holland, Ben Keck and Pino Demaio – purchased a home in the development. “The highlight of Saturday’s sales day was getting to meet our new neighbours. A diverse but like-minded community of people has been attracted to the project,” says Demaio. “It was fantastic to see that more than 85 per cent of new residents were able to secure one of their top four preferences,” Keck says. The consultation process, which involved two stages of design presentations and several feedback surveys, directly informed aspects of the design, including the communal room, the inclusion of a communal laundry and the provision of an embedded energy network. “The participation and feedback throughout the design presentations allowed us to tailor the design and give buyers the confidence to commit to the project,” says Adam Wulff, director of Wulff Projects. “With the multi-residential market becoming increasingly competitive and sophisticated, it’s great to see these innovative approaches gaining traction and success,” Icon Co. founding director Ashley Murdoch adds. Melina Chan, who works in community development, says she has invested in 122 Roseneath St. because she couldn’t find anything else in Melbourne quite like it. “Having spent the first years of my life in regional Malaysia, I suppose ‘village living’ is in my roots... Returning to Melbourne in 2013, I’ve been really interested in what the future of housing and particularly medium-density living will evolve into, with changing demographics and populations,” Chan says. “I’ve been involved in building all sorts of communities and networks over the past ten years of my professional life and I’ve always longed to be able to bring this into my home life as well,” says Chan.